My journey with PK started long before I was actually a part of Precog. In the sixth Semester of my B.Tech. (I am a Dual Degree Student), I enrolled for the Designing Human Centered Systems (DHCS) course which was taught by PK. This was one course which is said to be different from all the courses you’ll ever take at IIITD, and so it was. Owing to the way the course is planned, it is a different experience in itself where you pick a problem and work on it all semester long. You build systems which have the capability to solve problems of the real world. As fate had it, later on, I got a chance to be a Teaching Assistant for this course as well. During the sixth semester, I got to know more about PK, his ideologies, his way of teaching, and undoubtedly, he is one of the best professors I’ve had the chance to learn from. I ended up taking all of the courses offered by him during my time at IIITD. I had always heard about the research group called Precog that was supervised by him. It was during DHCS that I gained a better insight into it and was able to see it functioning closely (although as an outsider). PK also talked about some of the work being done by the group in the lectures. I found the work to be exciting as almost all of the projects had a real-world impact, and I was amazed by it. Another thing that caught my eye was the culture at Precog and how people were always there for each other, and they shared a family-like bond. This was something I secretly wished to experience first-hand. During my B.Tech. days, I was always knee-deep in projects, one after another, and never got a chance to be a part of Precog. In my 7th semester, I took yet another course taught by PK called Foundations of Computer Security (FCS). By this time, I was enrolled in the dual degree program but wasn’t sure what my thesis was going to be about. I was still exploring which domain I was interested in. PK made sure to have some guest lectures in all of his courses. For these, he invited domain experts, people from the industry as well as academia. 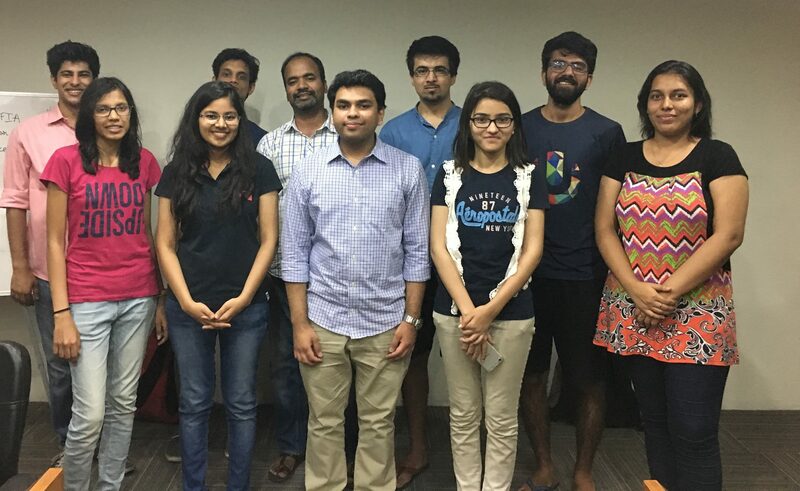 As a part of one such guest lecture, two of his Ph.D. students, Prateek Dewan and Anupama Aggarwal, joined us. Both of them talked about the work they were involved in and it really intrigued me. This was when it hit me, this was what I wanted to do. It was a sort of ‘eureka’ moment for me. I wanted to work in the domain of Privacy and Security, and this is where I wanted to spend my next year. That was when I talked to PK about the prospect of doing the thesis with him. Things clicked, and boom, I was a part of Precog. Never had I ever thought that I’d get to experience what all followed in the next one year. I was happy with the work I did and made so many amazing friends along the way who will, no doubt, stay with me my entire lifetime. I started my journey as a Master’s student once I was done with my B.Tech. requirements and, thus, began my journey with Precog in August 2017. The first week of the semester, I was added to the Precog core mailing list, and it’s not an understatement when I say I was overwhelmed by the number of emails I got within the first few hours. Emails asking for KK slots, WU, BM, DD slot Doodles, weekly planners, etc. I was alien to all the terms and had no clue what I was supposed to do. At that time, I did not know many people in the lab and was a bit hesitant to ask for help. I was anxious about missing any deadline in my very first week with Precog. I walked up to the lab, met Kushagra Bhargava. He was also a part of my interview panel, so I had talked to him a couple of times. Kushagra was very helpful and walked me through all the alien terms which are now deeply embedded in my blood. I must highlight that he has some awesome server password setting skills xD. A couple of weeks into the semester, I was very much familiar with the ways of Precog and the work ethics, having had attended the Orientation, a couple of What’s Up (WU), Brain Storm (BM), and Knock-Knock (KK) sessions. All of these sessions have an importance of their own. I feel, it is these sessions that make Precog, Precog and help bind everyone together (apart from the outings, celebrations, socials, icecreams…the list is endless :P). 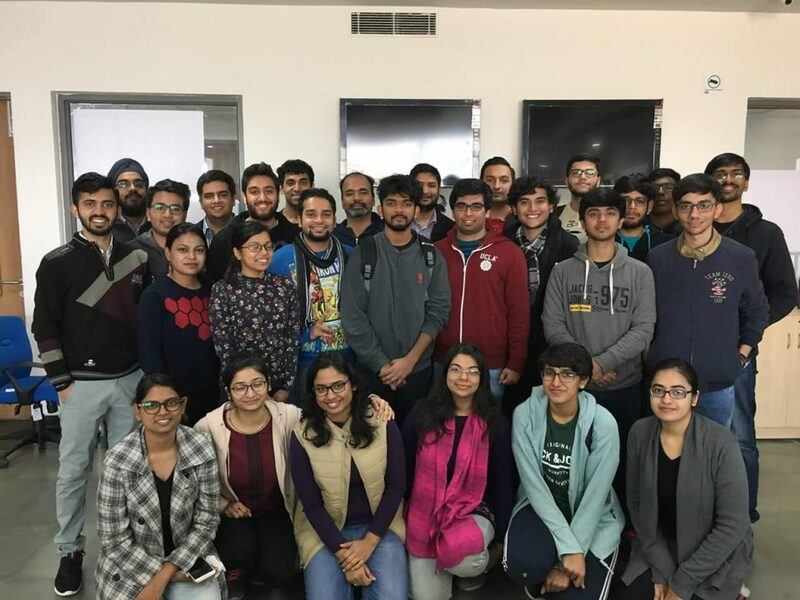 The What’s Up session is the regular all-group weekly meetup where everyone gives an update on their work. This way, we all know what the other person is up to, and it even helped me maintain a regular approach when it came to work. What’s Up sessions were an excellent medium of knowledge transfer as well, as the whole group is present to give feedback and help you out if you get stuck somewhere. Many a time, I’ve been stuck at places, and when I mentioned them in the WU session, people came forward with solutions, be it suggesting a new library, using a new tool or trying a different approach to test the accuracy of my work. So, my advice to anyone who is joining Precog or in Precog would be to attend these sessions in a regular way. They’ll only benefit you in the long run and help make your Precog experience even more Precogy :P. Deep Dive (DD) sessions were again really insightful, no matter whether you were attending or presenting. These took place once in two months. While being in the audience you’d get a good knowledge of how others are approaching things, and this might give you an idea of how you can incorporate some of this in your own work! And if you’re the one presenting, it’ll be a huge confidence booster as you’ll get used to giving technical presentations and also get validation for the work that you’re doing. I found the DD sessions really fulfilling. They make sure that you’re treading in the right direction. Also, whenever anyone has a paper submission, talk or presentation, it’s incredible to see how the entire group pitches in, right from intense paper critiques to feedback on practice talks. It’s lovely to see how involved everyone is and how much, we, at Precog here, care for one another. My thesis work was in collaboration with Dr. Alpana Dubey from Accenture Research Lab, Bangalore. I would say I was lucky enough to get two of the coolest advisors ever. I was always looking up to the weekly collaboration calls where I would get feedback on the progress made and get a direction on where to head next. Such regularity never made me realise how and when I got so close to eventually writing and successfully defending my thesis. The entire journey was just so smooth (along with pulling some all-nighters at times :P) that I can’t believe that it happened so quickly. In a matter of 9 months, I had successfully defended my thesis. 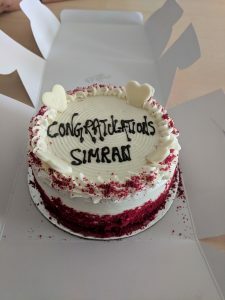 I’m thankful for all the inputs from both of my advisors who made this entire path – right from choosing the project, to framing a problem statement, and defending it – so fulfilling and enriching for me. Not only did I hone my research and technical skills but I also became more organised and confident in the process. I would also like to mention Gurpriya, who has been my constant pillar of support, right from ensuring that both of us were awake in time for the call (both of us had the same co-advisors) as it used to take place at 10:00 am in the morning, to helping me with the thesis document, and the talk for the defense. Indira is yet another person, who has guided me all along. She became my go-to person and I earned another lifelong friend. The amount of support I got from PK and other people at Precog was unparalleled. 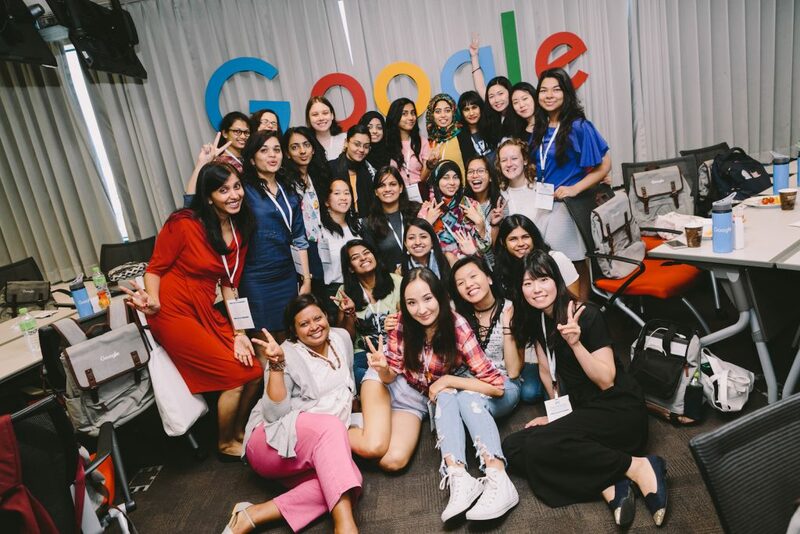 Last year, around July, I was declared as one of the recipients of the Google Women Techmakers Scholarship (previously known as The Anita Borg Scholarship). 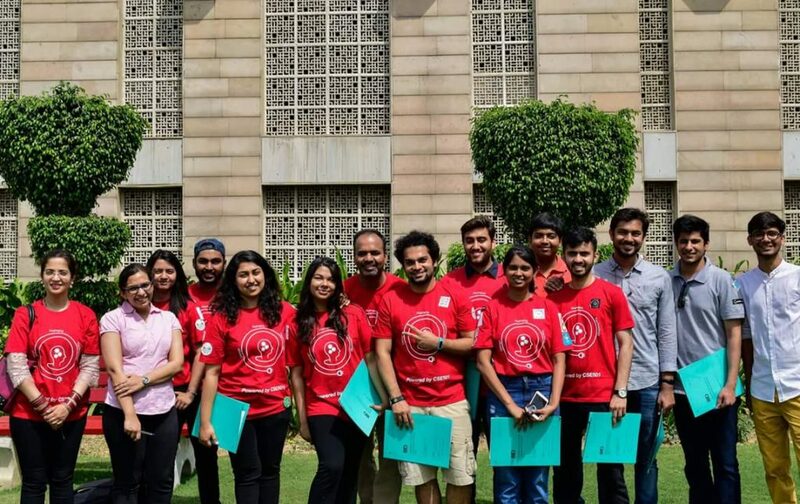 Because of the scholarship, I got the chance to travel for many events, starting from the Scholarship Retreat in Seoul, South Korea, to attending India’s first ever Google Developer’s Days, to attending meet-ups at Google’s Gurgaon and Bangalore offices. In all, the trips combined took three weeks, and I was unable to give full attention to my thesis work during these events. But PK and Dr. Alpana were always so supportive and understanding. They always encouraged participation in such events and programmes. But I ensured, that after all the missed hours of work, I put in extra effort to catch up. Eventually, I had become much more productive and got even better at juggling many things at once. Time management is the key, and I’d say Precog and PK made me better at it. In the Spring 2018 semester, I was one of the Teaching Assistants for the DHCS course, and this was yet another fantastic experience for me where I learnt a lot. It was amazing to see the impact that I was able to make by aiding students in the process of learning. 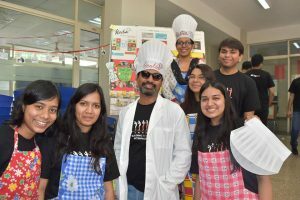 Guiding some teams from the ideation stage to them making news on the TV and the newspaper was very fulfilling for me. Again, PK’s way of dealing with students taught me a lot. He gives students enough space to be responsible adults rather than telling them what to do. This way, he brings out the best in his students. We get to realise the undiscovered potential that lies within us. “Work hard, play harder” is one of PK’s favourite policies, and we, at Precog, abide very seriously by it. We leave no stone unturned to celebrate the smallest of achievements. The amount of cakes, chocolates and sweets I had in the past one year is way more than the past ten years combined. Celebrations along with other outings and socials give more bonding time. I remember the time when PK took all of us down to the lawn to play cricket. Because of such interactions, everyone bonds at different levels apart from work. Such bonding is essential in a close-knit group like Precog, where many people are involved in one project and having good bonds definitely boosts the efficiency. I would like to thank each and every person who has been a part of my journey with Precog. It just wouldn’t have been the same without each one of you. In all, Precog is a bundle full of a lifetime of experiences. All these experiences combined made me grow so much as a person. Now that I reflect back, I cherish everything so dearly. My advice to everyone out there, try one of PK’s courses for sure and join Precog sooner than I did, it’ll be worth it.